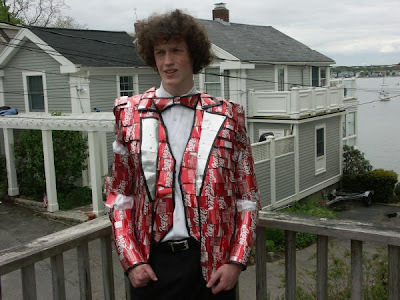 We were under the impression that wedding gowns are supposed to be fascinating. In our opinion, this one is quite simple and between the remaining two that you can check here, the second one looks quite hot and we don't want to comment on the third one though. 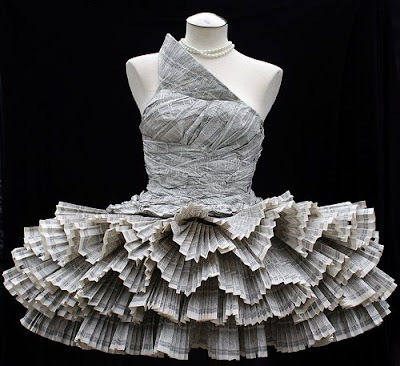 The paper dress was made purely out of phone book paper for her Creative Processes class. 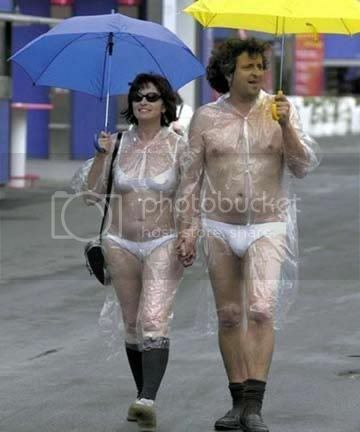 How about this one where you don't have anything to hide, could this be one of the options? 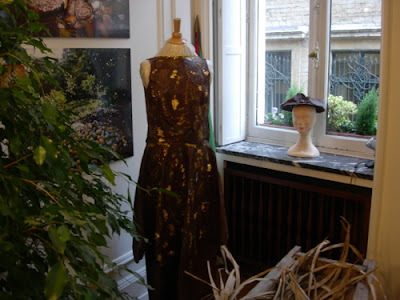 All the outfits are edible & are made with chocolate. 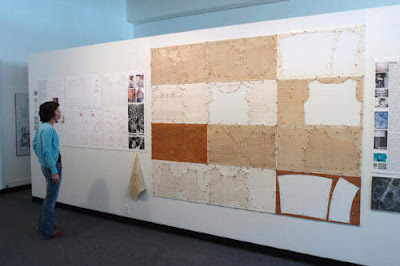 Ben Pell's Walldrobe Wearpaper is a beautiful and interesting concept; it consists of a series of thin leather panels that you can put on your wall as an artwork. "When you're ready to get dressed, you take down your chosen pieces, affix a set of nickel-finished wire snaps to them, and voila: you have wearable clothing." 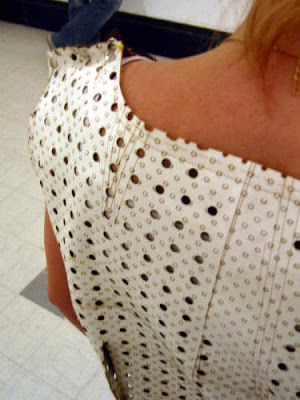 It's an airmail dress that folds up into an envelope. 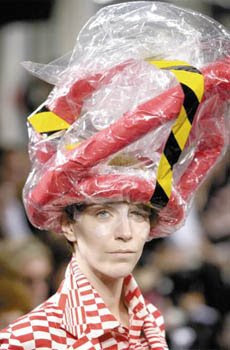 Yet another one from Hussein Chalayan, part of spring/summer 2001 show, the models were dressed in sugar casts. 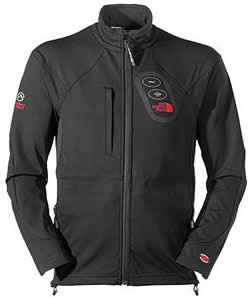 Hi-Tech Clothes: Over a period of time the purpose of clothes have changed; from preserving the wearers' modesty, or to protect from the elements of nature, or for many as a fashion statement. In the recent years, significant changes took place in textile industry. 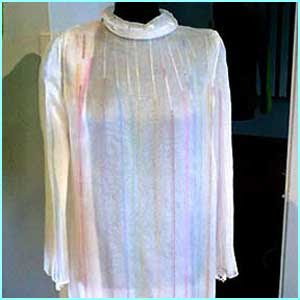 Now we have hi-tech clothes, smart clothes, smart fabrics, and intelligent clothes that have become a reality. 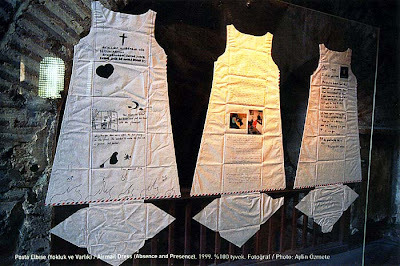 It's a temporary dress that consists of a cloud of non-woven cloth. 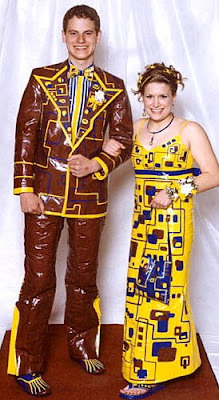 All you got to do is spray the formula directly onto your skin and you have your dress. 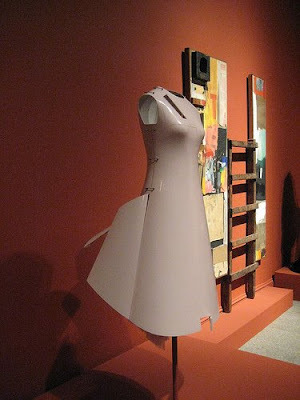 Airplane dress created by Hussein Chalayan, part of the spring/summer collection 2000. It's made from the same material used in aircraft construction and changes shape by remote control. 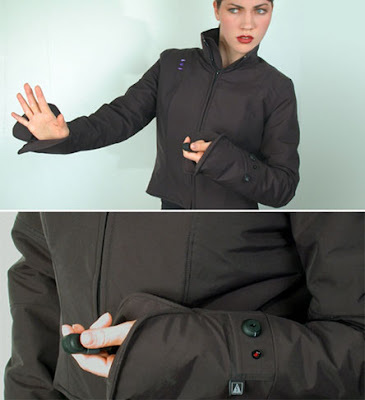 The Hug Shirt allows people to send hugs over distance; it's a Bluetooth accessory for Java enabled mobile phones. 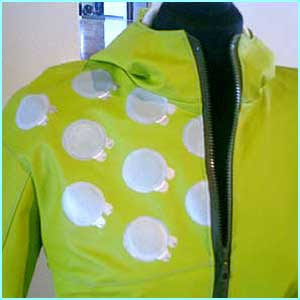 Nano Dew shirts and blankets contain some elements that will help reduce the signs of aging. 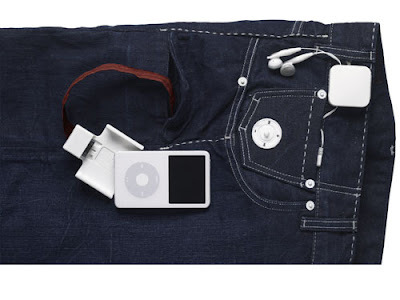 incorporates a digital camera, which automatically snaps a photo in case the wearer's heartrate increases. It's a wearable communication. 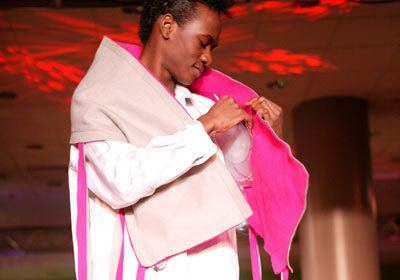 It uses a flexible color screen with clothes and "fashion" accessories. The screen is connected to the mobile phone using Bluetooth. It lights up as water lands on it. 'It came from the need to keep astronauts the right temperature in space." The tiny tubes in this dress can carry fragrances. These boots change shape based on the speed and motion of the wearer. It looks and feels like cotton but it isn't, this material is made from pine fibers. Once you are done with it just throw it off. It produces 80,000 volts of electricity, all you have to do is press the switch and don't worry, there is an insulated rubber layer between you and the electricity produced. 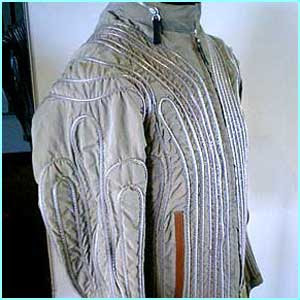 A textile keyboard on the left sleeve controls the electronic features using electrically conductive fabric sewn into the lining. The electronic module contains an mp3 player with 128 MB of memory, with a power backup for upto eight hours. 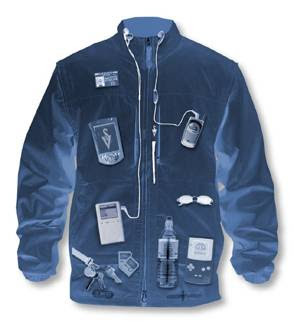 The headphones and a microphone are integrated into the collar of the jacket. It's a creation of artists Max Moswitzer and Magarete Jahrmann of the Ludic Society. This tanktop developed by Swedish School of Textiles researcher Lena Berglin, is sure to keep its wearer in best of health. Designed by T Almeida, it inflates and expands in size, according to the user's wish.